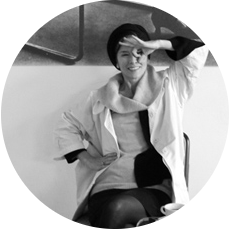 Darya von Berners work is dedicated to installations and performances in the public space as well as the opera. She understands the art world as not isolated from other life systems and tries to conceive a new space with her works, in which the spectator and the art work are not separate from each other, but mutually permeate each other like a single living organism. Whether it is wall painting, sculpture, photography or installation, von Berner’s work is primarily about the creation of an experience. For this reason she applies the term atmospheres when talking about her works. An atmosphere one can participate in, one immerses in, in which one makes one´s own experiences. The fundamental idea of this endeavour, is to reconcile the unity of the world of Homo sapiens and nature through artistic experience and the experience of culture. In contrast to the still prevalent conception of modernity, where man and nature are seen as two different spheres.